Jennie Nicol, as a founding member of Pi Beta Phi, exemplified many of the qualities and characteristics that Pi Beta Phi prides themselves upon today. Jennie Nicol's life long friendships are exemplified through her correspondence with Emma Kilgore. Furthermore, their philanthropy based upon literacy and education shines through Jennie's character as a life long learner. Pi Beta Phi, originally I.C. Sorosis, was founded at Monmouth College and follows their mission statement of promoting friendship, developing women of intellect and integrity, cultivating leadership potential, and enriching lives through community service. One of the first Greek sororities in America this sorority, originally of twelve women, has blossomed into 200 chapters of over 200,000 women. The sisterhood that Pi Beta Phi emphasizes is demonstrated through the "big and little" mentoring relationship that allows incoming members to learn from an older experienced member. Pi Beta Phi believes deeply in the power of reading to help create a more literate and productive society. As Pi Beta Phis signature philanthropy, Read > Lead > Achieve draws on more than a century of service and thousands of volunteers to inspire a lifelong love of reading. 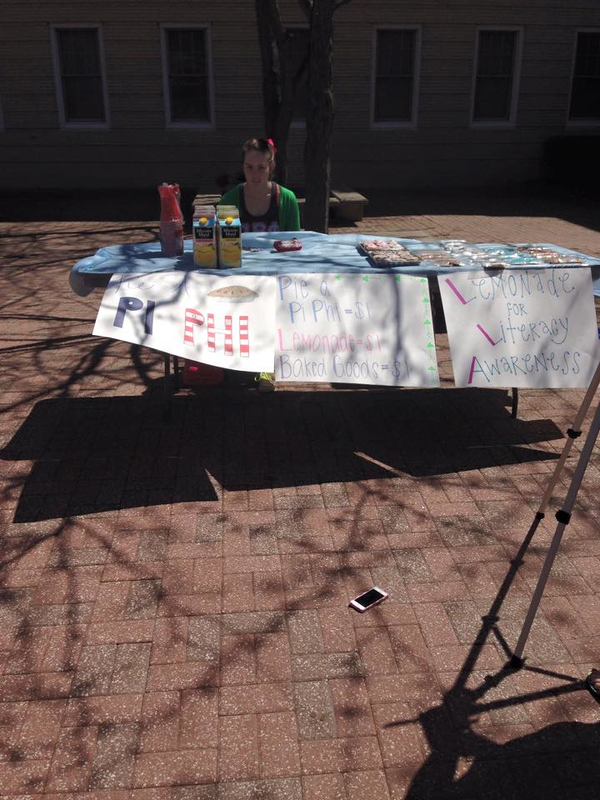 Pi Beta Phi holds several events to support their philanthropy: Lead, Read, Achieve. On their founder's day in 2015, they held a bake sale and lemonade stand where they raised $244 for their philanthropy. Amber comments on the how Pi Beta Phi carries on some of the traditions established by the founders in 1867.